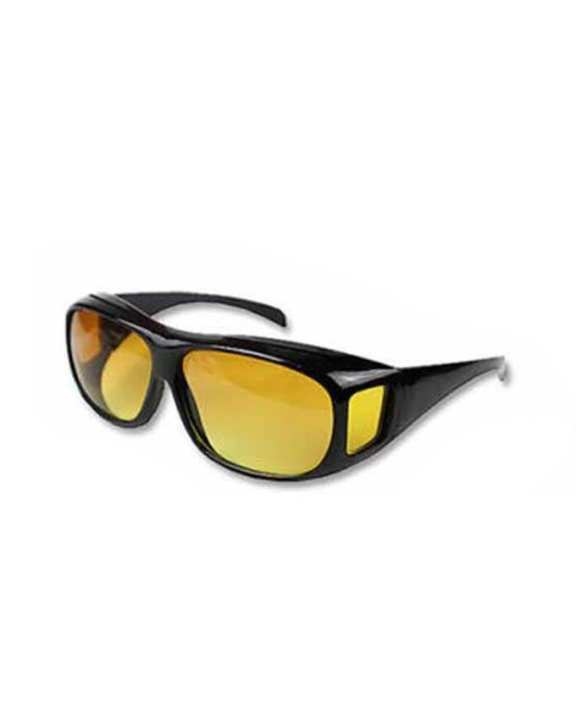 This Sunglasses/Night Vision Glasses Combo Pack HD Vision Wraparounds let you see with enhanced color and clarity just like high definition TV's and at the fraction of a price of designer glasses. Protect your eyes in style from all sides (unlike clip-ons), just slide over prescription glasses. Whether driving, reading or golfing, these versatile glasses make seeing a whole new experience. HD Vision wraparounds are the affordable, effective alternative to high-priced prescription sunglasses and clumsy clip-ons. High-definition lens technology dramatically reduces sun glare and provides clarity and enhances color like you've never seen before!